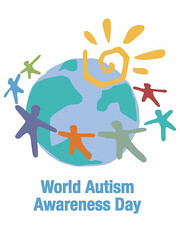 The country will join the rest of the world in celebrating the 6th World Autism Awareness Day (WAAD) on April 2, 2013 with the theme “Make the Rights Real of Persons with Autism”. The celebration is mandated by the United Nations General Assembly’s Resolution 62/139 promulgated in December 18, 2007 declaring April 2, 2008 and the succeeding years as the World Autism Awareness Day (WAAD). The resolution recognized autism as a world-wide health concern and also a response to urgent call for autism awareness and for the provision of services for those affected with this condition. Below are the activities of the WAAD National Working Committee headed by the National Council on Disability Affairs (NCDA), Autism Hearts Foundation (AHF), SM Programs on Disability Affairs, SM Supermalls, Department of Interior and Local Government (DILG), Department of Environment and Natural Resources (DENR), Council for the Welfare of Children (CWC), Department of Transportation and Communication (DOTC), Department of Public Works and Highways (DPWH), Philippine Information Agency (PIA), Department of Education (DepEd), Department of Social Welfare and development (DSWD), Association of Adults with Autism, Philippines (AAAP) and Autism Society Philippines (ASP). ASP is a proud member of the ASEAN Autism Network, an alliance of autism parent support organizations in Southeast Asia with Secretariat at the Asia Pacific Development Center on Disability in Bangkok, Thailand. For details please call (632) 926-6941 or (632) 929-8447.